My particular love arrived when I started playing with my brother’s hand me down Lego. In this I must say, I’m a purist – the old Lego is what Lego is meant to be. I’ve never quite understood all the pink and purple brightly coloured weirdly shaped pieces Lego is available in now. The good old white bases and blue building blocks were all I needed to get cracking with spending hours and hours building designer houses. A Sunday in the breezeway on the rug was the usual location. I’d endlessly construct Bauhaus type houses and show them off gleefully to my father – who, after the 5th or 6th attempt (such attempts looking markedly similar in design), would nod and feign interest. 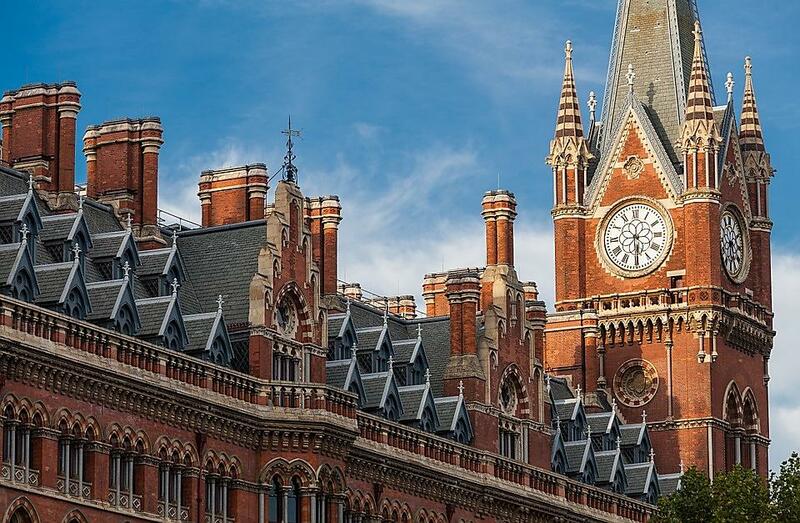 The St Pancras Station and Hotel in Camden. Of course, there’s more beautiful architecture in the UK than one can throw a stick at, but I thought I’d go for the not too obvious. With these examples and all variations in-between, architecture can remind us (I do believe) of how to achieve greatness through buildings. So if you’ve run out of topics to chat about with your colleagues on your water cooler runs, why not open a discussion about their favourite building and why? I guarantee you’ll have started something!